Tools listed here were created by the Mid-Atlantic Wetland Work Group as a regional effort funded by EPA Region III. A tool for estimating habitat quality based on the composition of the plant community. 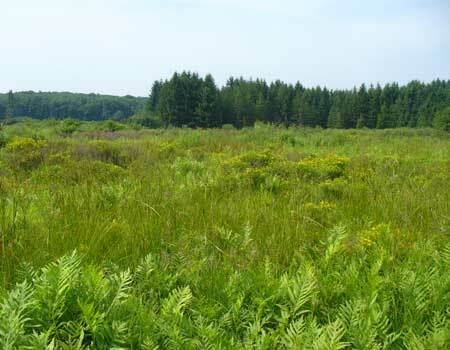 A statewide Level 1 Landscape Assessment was performed for all wetlands mapped by the National Wetland Inventory (NWI) within the Commonwealth of Pennsylvania. Landscape pattern and four indicators of human activity (total core area index, road density, landscape development intensity -LDI- index, and impervious surface) were quantified to characterize the lands and disturbances that surround wetlands. On-going compilation of reference wetlands data to be interpreted and used to inform the design and performance evaluation of restored and mitigated wetlands.